Grammy Award-winning musician Laurie Lewis is an internationally renowned singer, songwriter, fiddler, bandleader, producer and educator. She is a founding member of the Good O’ Persons and the Grant Street String Band, and has twice been voted IBMA’s Female Vocalist of the Year. Since her debut with The Pantoms of the Opry, in the early 1970’s, Lewis has recorded nearly 20 albums, in a variety of musical formats. 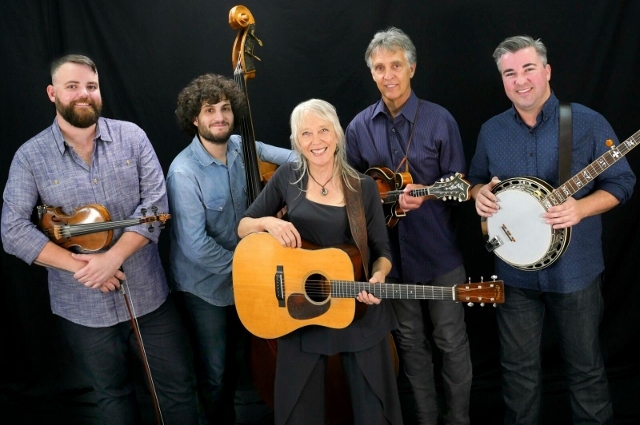 Laurie’s band “the Right Hands” includes her longtime musical partner, Tom Rozum, on mandolin, fiddler Brandon Godman, Patrick Sauber on banjo, and bass player, Sam Grisman. Their latest album, “The Hazel and Alice Sessions” was nominated for the Best Bluegrass Recording Grammy in 2017. Laurie Lewis has been billed on Strawberry’s Main Stage twenty one times and her last appearance, with the Right Hands, was the last festival held at Camp Mather, in the spring of 2013. So we’re especially happy for their return to Strawberry Music Festival- Spring 2018!